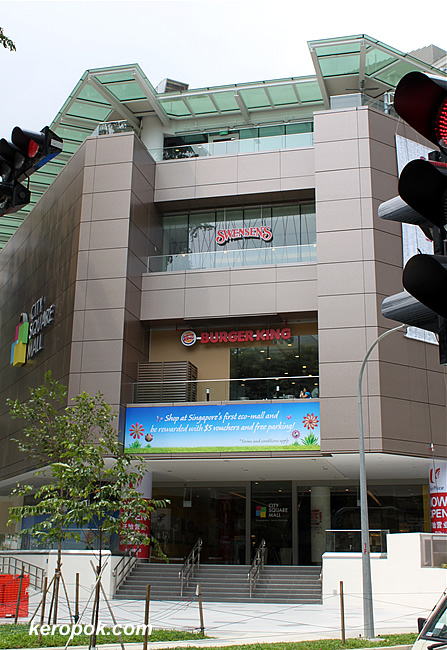 I happened to be at Kitchener Road (near Little India) yesterday and saw that there's yet another new mall! They never stop sprouting out in Singapore. What caught my eye is the banner. 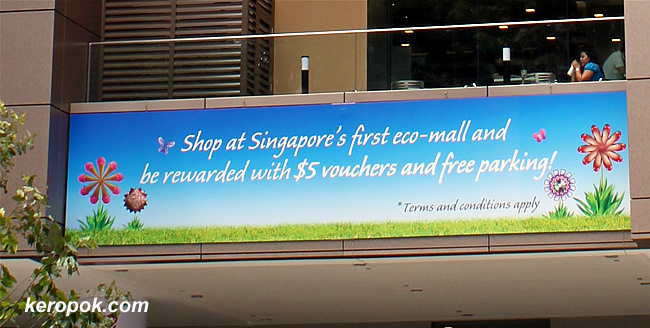 It says it is Singapore's first eco-mall. 1) the toilet (urinals) use no water. But while walking around I see that they shops sells more eco friendly products. Eg, the electrical shop that has a banner that says it has the largest collection of eco-friendly electrical products you can find. How interesting! Oh, mum and two of my aunts were with me, if you are a lady and like shopping, Metro in this mall is having a fabulous sale! The ladies bought lots of clothes! I'm not sure that makes it an Eco-mall, but its a good sales pitch! i must check it out some day, The eco concert is interesting, and maybe can really check out how eco-friendly it is. sounds too good to be true, but if it says what it is then maybe it's really eco-friendly... and whaa! what about the toilets with no h20? ya, it made me want to go in. maybe it was also the offers that they had. ya, many places in Singapore has this men's standing urinal that does not need water. it does not really smell. urine's suppose to be sterile. Anyway, I happened to chance upon your blog and this post when I was searching for eco-malls in Singapore.